The Glenn Beck Review: Conservative David Klinghoffer takes issue with "crazy-cons"
Conservative David Klinghoffer takes issue with "crazy-cons"
On August 1st, 2010, conservative author David Klinghoffer wrote an opinion piece in the LA Times entitled "From neocons to crazy-cons." In it he addressed the "potty-mouthed Internet entrepreneur Andrew Breitbart," but it was clear that his target was broader and inclusive of all on the right engaged in "demagoguery and hucksterism." In their coverage of this piece, Mediaite pictured two more crazy-cons who fall into this description: Rush Limbaugh and Glenn Beck. Klinghoffer's analysis is summarized simply: "With its descent to baiting blacks, Mexicans and Muslims, its accommodation of conspiracy theories and an increasing nastiness and vulgarity, the conservative movement has undergone a shift toward demagoguery and hucksterism. Once the talk was of "neocons" versus "paleocons." Now we observe the rule of the crazy-cons." [dem-uh-gog, -gawg] Show IPA noun,verb, -gogued, -gogu·ing. a person, esp. an orator or political leader, who gains powerand popularity by arousing the emotions, passions, andprejudices of the people. Beck's supporters either don't recognize this characteristic in him or they just don't care. Luckily, at least one real conservative does care, and Klinghoffer does not approve of what he sees. It's about time that a respected and bona fide conservative took issue with the likes of Glenn Beck. a retailer of small articles, esp. a peddler of fruits andvegetables; hawker. a person who employs showy methods to effect a sale, win votes, etc. : the crass methods of political hucksters.hucksters. With his non-stop promotion of his books, his show and his projects, not including the "Restoring Honor" rally later this month, which is free to attend, it's clear that Beck was in Kinghoffer's mind when he used those words to describe crazy-cons. Henceforth, another word The Review will use to describe Beck will be crazy-con. This is in addition to the claims that Beck is a deceiver, a hypocrite and a charlatan which have been extensively documented here. There is another word to bring to bear in describing Glenn Beck's reactionary political philosophy. It's no secret that he considers progressivism a cancer to America, and two progressive social programs that are without doubt included for Beck are social security and unemployment insurance. His upcoming book, Broke, will likely show how an unleashed free market system will render these programs moot in the next 100 years if Beck's program, his vision for the future/past, is followed. Stupid. The reason that the Libertarian Party has not attained much of a following is because their ideas that "the Federal government [should] avoid or escape responsibilities which the mass of the people firmly believe should be undertaken by it" are stupid and not supported by many Americans. In other words, Libertarianism and Beck's reactionary political philosophy, are above Overton's window. This observation was argued previously in the post, "Glenn Beck's road to socialism." If Beck's road backward is followed, there would more likely be a democratic, socialist revolution in this country that could involve too great of economic centralization of power in Washington; and a new Constitution would not be unthinkable. Property rights of "private," huge corporations would possibly be modified or radically redefined. The welfare state was put in place by liberals to avoid this possibility. Glenn Beck's ideas are stupid. Glenn Beck on the whole is not stupid. He's a gifted and persuasive demagogue and and a clever huckster. He's also extremely driven and ambitious. This combination, along with his uncanny skill at emotionally connecting to those in the "splinter group" (his followers, his guests, Freedom Works, Americans for Prosperity, etc. 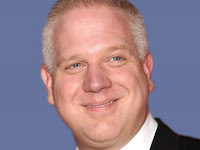 ), are what make Glenn Beck a dangerous man, perhaps the most dangerous man in America. I am, as you know, a libertarian thinker but, I'm also a realist. I realize that some programs are so ingrained into the American way of life, that they, more than likely, will remain with us. However, we can take other steps to ensure that the federal govt does not gain any more power over our precious freedoms. Penn Jillette, one of my favorite libertarian thinkers, has said that he wants a government that is so "clunky" that it makes it hard to pass more intrusive laws. I tend to agree with this philosophy. We might not agree on everything, including the use of stupid in the same breath as the word libertarian, but, I still give you credit for bringing Beck's insanity to light. He is giving libertarians a worse name than we already have, in my opinion, by claiming to be one!! Thanks for the research and we shall agree to disagree on the details!